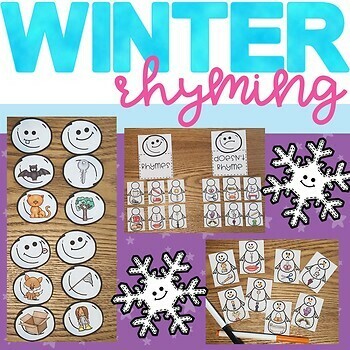 This engaging, hands-on set has two different levels of rhyming activities so that you can easily differentiate your centers to meet the needs of a variety of learners! 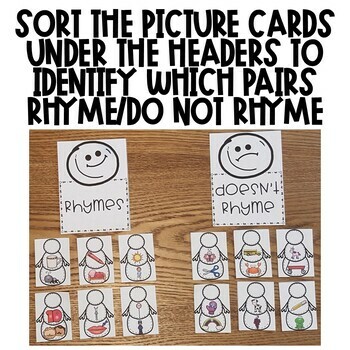 Beginning rhymers can identify which pairs rhyme and which don't. 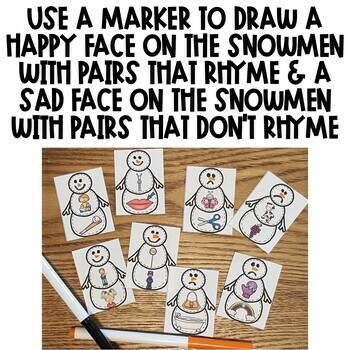 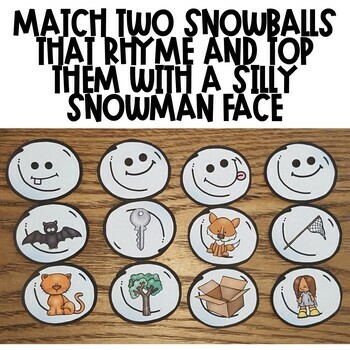 More experienced rhymers can find and match rhyming words to build silly snowmen!